We are offering our customers premium quality Suspension Inner Assembly Components, which is considered to be an ideal choice for accelerating assembly operations. To manufacture our wide range of products, we use different variety of metals and alloys like brass, bronze, and copper. 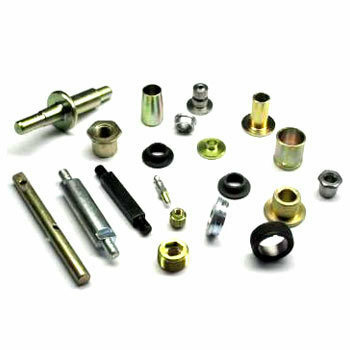 Moreover, to provide customized and standardized products, we use hi-tech machines. Under the guidance of quality experts, we manufacture these products as per international standards and industry norms. Besides, these are used in fabricating the central stand, and cloth guard two wheeler handles.